Scott Bryant received his Ph.D. in management, with an emphasis in strategy and entrepreneurship, from the University of Oregon in 2002. 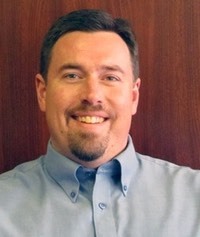 He has a BA (1990) and an MBA (1998) from Seattle Pacific University (SPU). He worked for several years at the Domain Group advertising agency, spent nearly a year at PhotoSort, a technology startup in Seattle, spent a year in Poland teaching English, and worked as an admissions officer for nearly five years at SPU. Scott services Academic Connections as a volunteer Ministry and Research Fellow. His writing and research interests involve applying a Christian worldview to knowledge management, leadership and emotional intelligence in organizations. He desires to understand the nature of healthy Christian faculty communities.